Quickie Xplore is an excellent choice for an active user spending time outdoors. The directional stability at high speeds in all types of environments, helps ensure that the end user’s optimal Center of Gravity will be maintained without any adjustments required. Quickie Xplore is available with tilt, shear reduction, recline, lift, power ELR`s and Power Center mount. Each with durability and reliability unmatched in the market. The unique suspension will distribute the weight over a larger footprint and improve the stability. 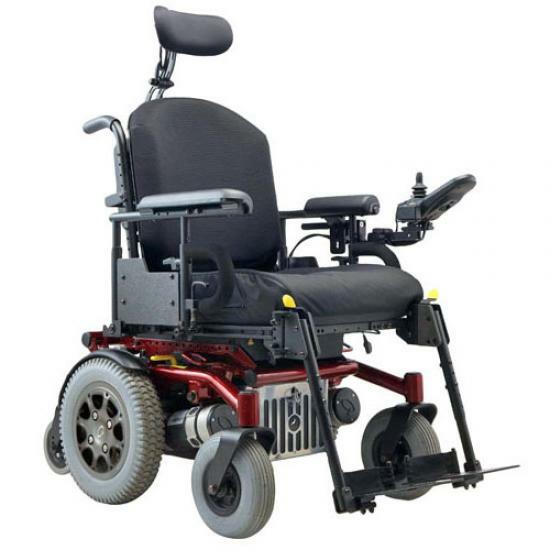 The independent suspension stabilizes the seat in downhill and uphill transitions to keep the user comfortable in their chair. Industry standard and time tested PG drives electronics. PG features easy full programmability and trouble shooting. Integration with infrared and bluetooth technology is easy.